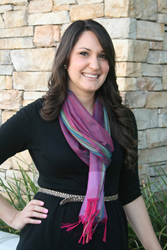 Marketing Maven continues rapid growth as they announced new hire Valeria Velasco as Account Executive. Velasco brings to Marketing Maven more than six years of public relations, marketing, social media, and promotional experience with her background in consumer electronics, special events and fundraisers, non-profit organizations and direct to consumer products. Velasco’s background includes working as a Marketing and PR Associate for the Santa Barbara Museum of Natural History and the Sea Center, an interactive marine education facility on Stearn’s Wharf. Bilingual in English and Spanish, Velasco has garnered press coverage and spearheaded fundraisers and social media campaigns to raise awareness. “It is exciting to see our Hispanic marketing department grow with the addition of another Account Executive who is both bilingual and bicultural. The fact that she brings a media relations background as well as a strong skill set in social media marketing makes her an ideal fit for our team,” said Mari Escamilla, Hispanic Media Manager.